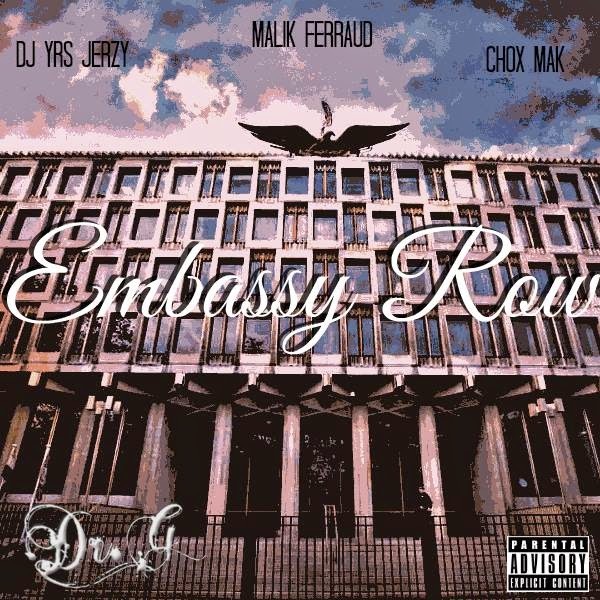 DJ YRS Jerzy Ft. Malik Ferraud & Chox-Mak - "Embassy Row"
DJ YRS Jerzy teamed up with Baltimore native Malik Ferraud and his artist North Carolina's own Chox-Mak for a new aged classic track entitled "Embassy Row". This latest single has a smooth laid back mellow toned sound to it that is sure to be played more than once. The beat smith DR. G out of Manchester UK brought in his own unique style of production that makes for a perfect collaboration.